How can companies hire more diverse talent? This action-packed training addresses one of the most pressing questions in hiring with case studies and research-backed solutions. 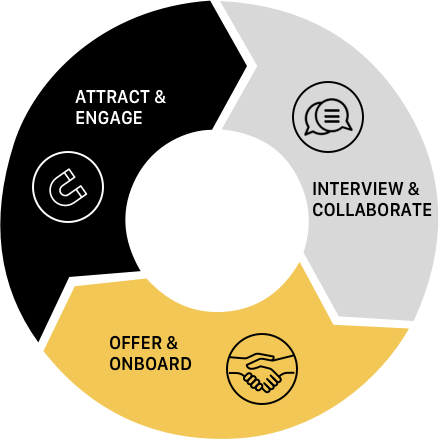 ModelExpand's Diversity Recruiting Training will conduct a deep-dive into key parts of the hiring process to empower attendees with the foundational knowledge needed to institute change in hiring outcomes. Why does diversity recruiting matter and how does it affect your business overall? What brand signals is your organization sending? Employers are sending signals to diverse candidates before they even apply. Learn how to audit and adjust your brand message and image to show inclusive values. Gain insight on how to augment current sourcing strategies. What are the most effective partnerships? How can LinkedIn be used differently? Unconscious bias is a powerful constant throughout the hiring process. Understand how this affects the process and, most importantly, how to mitigate its effects. Learn how to put measurements in place to track the success of your diversity recruiting efforts. This particular course is a pilot price of $625. Participants receive a certification of completion at the end of the training. Need additional information for your employer? Check out this letter to your manager. Paria Rajai currently runs ModelExpand, a diversity and inclusion strategy firm focused on employer branding and talent acquisition. She is a leader in the diversity and inclusion space and has been at the forefront of diversity and inclusion work for nearly a decade. Paria is an innovator in creative strategies for the recruitment and retention of women, racial and ethnic minorities and nontraditional candidates. Her operational experiences give her a strong understanding of day-to-day pressures in companies and how to best incorporate diversity and inclusion strategies to companies as they grow. Her extensive marketing and branding experience is also a superpower she uses to help companies build strong internal and external communications around diversity and inclusion. Paria has worked with all organization sizes from growing startups to Fortune 500 companies to help them implement successful strategies. She was recently profiled in Forbes for being a leader in diversity and tech. Paria was previously on the leadership team of Hackbright Academy - the country’s first coding school for women - working to connect companies such as Amazon, Yelp and Slack with more diverse talent. She also helped organize the inaugural Women of MENA in Tech Conference in Silicon Valley and has been selected as a mentor for the State Department’s TechWomen program. If you have questions, please email contact@modelexpand.com.